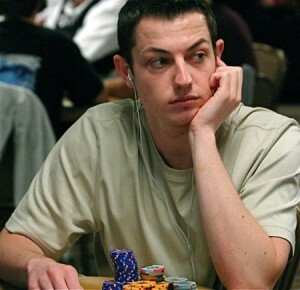 Full Tilt Poker’s newest professional poker player Tom “durrrr” Dwan had a ghastly start to 2009, but after the biggest downswing in his poker career, the young superstar was able to battle back to near even. That was until the past 30 days happened: According to the data collected by highstakesdb.com, the player many regard as the greatest online poker player in history is down in the neighborhood of $7.5 million over the past 30 days!!! This sick downswing has durrrr in contention for the worst year (January 1 to January 1) in online poker history. Currently down $6.8 million, durrrr would eclipse the record of $6.6 million set last year by Lady Marmelade –rumored to be Cirque De Soleil owner Guy Laliberte; a man with a lot of money to burn. No online poker pro has ever seen a red number of this magnitude for an entire year. And durrrr has some company this year, Gus Hansen is down $5.8 million, and Lars Luzak is down $3.9 million. The only other poker player with those types of results in the past has been high stake whale Guy Laliberte; who has allegedly accomplished the feat under numerous screen-names: elmariachimacho, patatino, Lady Marmelade, and noataima. This entry was posted on Monday, November 30th, 2009 at 11:52 am and is filed under Poker News. You can follow any responses to this entry through the RSS 2.0 feed. You can leave a response, or trackback from your own site.